The importance of using 100% biodegradable products is paramount with the environmental concerns and regulations we face today. 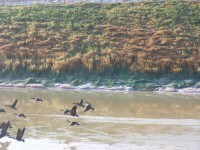 Environmentally sensitive areas, shorelines, rivers, lakes, and streams are some of the focal points for protection erosion control applications, which may require a 100% biodegradable solution. Keeping soil on site is a concern for many engineers, developers, and contractors. Proper erosion control is important when working with a disturbed site. Selecting a product that fits the design parameters is crucial for a favorable outcome. 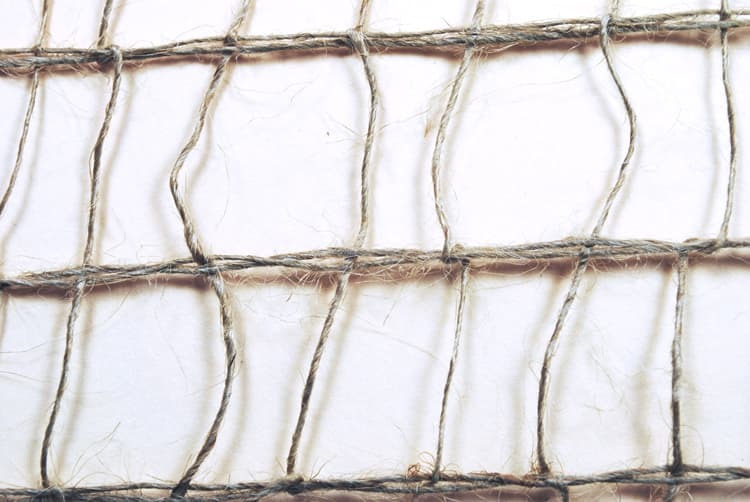 Each of the products containing the FibreNet trademark contain a 100% Biodegradable Jute netting. 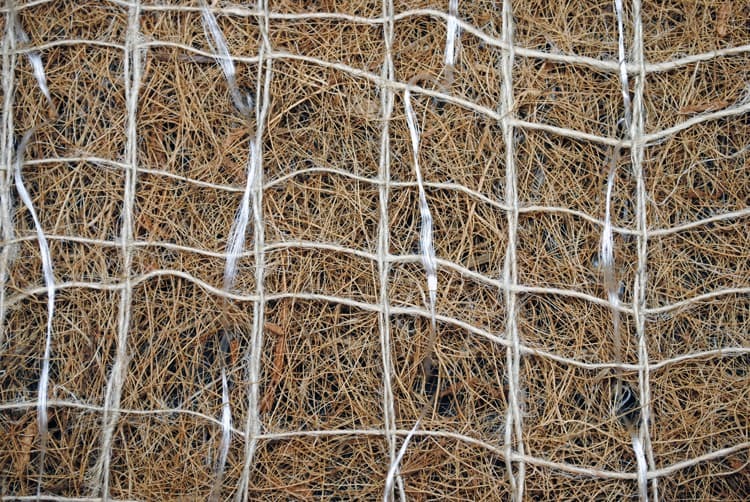 Single netted products have a top net consisting of biodegradable jute and double netted products have a top and bottom net made of biodegradable jute. Stitching that binds the fiber matrix to the FibreNet is also 100% biodegradable. THE Curlex brand name signifies a quality product that is naturally seed free Great Lakes Aspen curled excelsior fibers. Great Lakes Aspen is grown in the United States as a manageable, renewable forest crop. 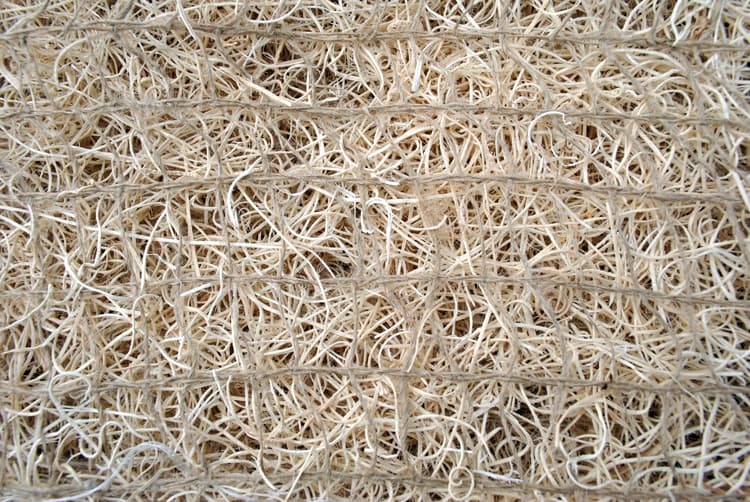 The unique nature of the ECB fiber matrix is due to the engineered Curlex fiber. Curlex fiber matrices are composed of a specific cut of Aspen designed especially for erosion control and revegetation benefits. The engineered fibers have thousands of microscopic barbs that interlock with one another within the matrix. 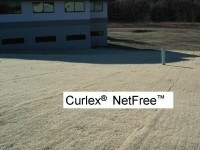 This feature contributes to intimate contact between Curlex products and underlying soil. In addition, Curlex fibers expand when wetted during hydraulic events, which cause the fibers to dig and anchor themselves into the soil. Another added benefit to the Curlex fiber matrix is that it provides ideal ”green house-like” growing conditions for seeds, which results in enhanced germination for increased vegetation establishment. 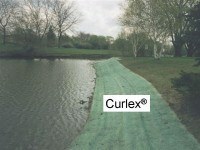 Curlex is considered the industry standard by many because of the plethora of Curlex Features and Benefits. 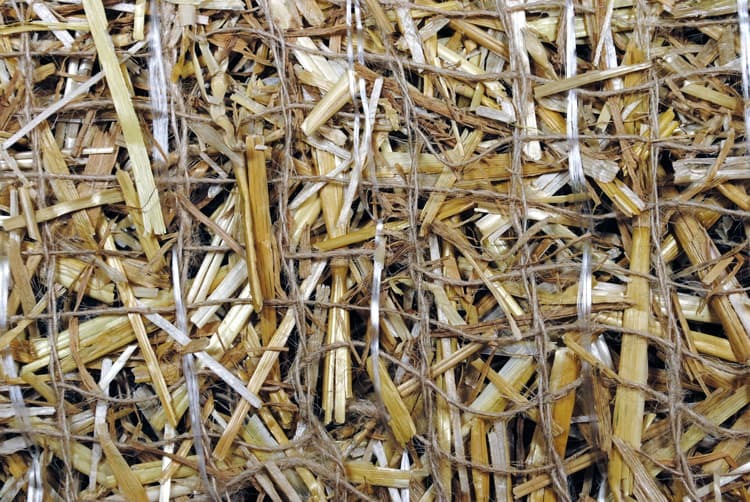 AEC Premier Straw consists of agricultural straw that is certified weed seed free. 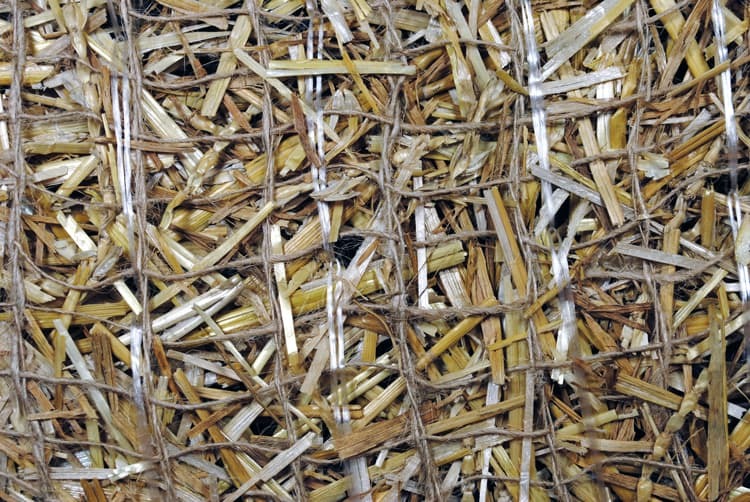 Agricultural straw fibers are commercially grown in the United States. AEC Premier Coconut consists of top quality coconut fibers. It should be noted that most, if not all, coconut fibers for use in the erosion control industry are imported fibers, thus they are not native to the United States. AEC Premier Straw/Coconut is a blend our AEC Premier Straw and AEC Premier Coconut fibers. All degradable fiber matrices breakdown; however, some degrade in place faster than others. Functional longevity of ECBs varies because of differences in climatic conditions. In general, straw ECBs have a functional longevity of ≤ 12 months, Curlex 15-36+ months depending on the product selected, and coconut ≤ 36 months. 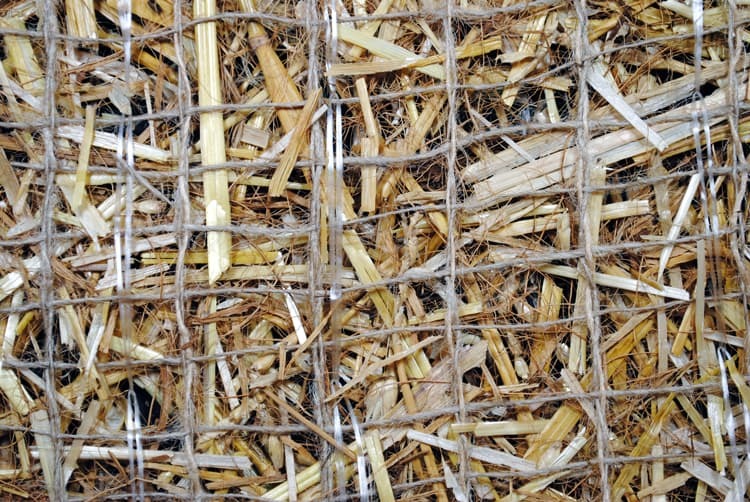 Straw fibers are flat by nature and do not naturally form an interlocking matrix so after the netting material degrades essentially unanchored blown straw remains on the soil surface. 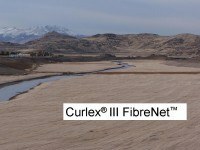 On the other hand, Curlex fibers are engineered to be curled fibers with soft barbs that provide a continuous, interlocked matrix even after the net material degrades. Straw/coconut products are typically 70% straw and 30% coconut fibers by weight. Thus, if the functional longevity of straw is ≤ 12 months, approximately 70% of the straw/coconut product will be gone in less than one year. It is important to consider how long the ECB is needed or desired to be on the site(s). Some sites may want or need the biodegradable product to degrade in one growing season, but other sites may desire a product that lasts two to three growing seasons. In general, product performance capabilities, climatic conditions, and estimated vegetation establishment rates of selected species dictate the type of ECB selected for environmentally sensitive jobs. American Excelsior Company’s E-Staple shall be installed to anchor ECBs for a complete 100% biodegradable solution to your environmentally sensitive projects. E-Staples shall be utilized to anchor the biodegradable ECBs in place. E-Staple will completely degrade in 8 to 24 months as compared to common steel staples that will still be in the soil several years after installation. E-Staples are a ”natural plastic” derived from plant sugars and oils, which allows them to biodegrade in soil. Natural plastics eliminate the use of petroleum-based materials, which ultimately helps reduce our dependency on oil. Trout streams, lakes, and ponds are home to a diverse ecosystem that needs a system in place to protect all aspects of wildlife. Snakes and endangered frogs are a small example of species to consider when designing a SWPPP. 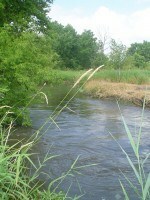 Sediment-laden runoff entering streams can kill aquatic species. Using 100% biodegradable erosion control products for project applications can greatly reduce instances of sediment loads from entering our precious waters. Disclaimer: American Excelsior Company’s 100% Biodegradable Erosion Control Solutions are a system for erosion control and re-vegetation on slopes, on shorelines, and in channels. American Excelsior Company (AEC) believes that the information contained herein to be reliable and accurate for use in erosion control and re-vegetation applications. However, since physical conditions vary from job site to job site and even within a given job site, AEC makes no performance guarantees and assumes no obligation or liability for the reliability or accuracy of information contained herein for the results, safety or suitability of using AEC’s 100% Biodegradable Erosion Control Solutions, or for damages occurring in connection with the installation of any erosion control product whether or not made by AEC or its affiliates, except as separately and specifically made in writing.